Actually, both side are getting bored with this war. Especially when our score is always 0-0. N u know what makes it boring ? Ur "all block n only rogs go attack" strategy. We, elves, start to get excited again when devs said that the buff will last for 3days, we scored 3-0 twice (cuz devs failed to make it 3 days buff at 1st attempt) n idk why u guys just let us win easily after that. 5mins is ridiculous, we dont even need to regroup after captured 1 town. Check the results of Friday battles on the first page! Next battles will start according to our usual schedule. 1) Respawn timer during wars. 2) Prevent use of life scrolls during wars on irlsenort (open exceptions for dungeons and lab). 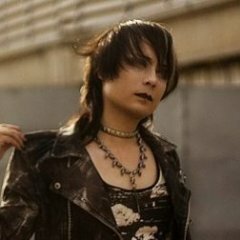 Past cries were justified but developers have been slowly buffing previously weak classes like barbarian, death knight, necro and mage. And IMO this is the most balanced warspear versin since expert skills were made avaible. 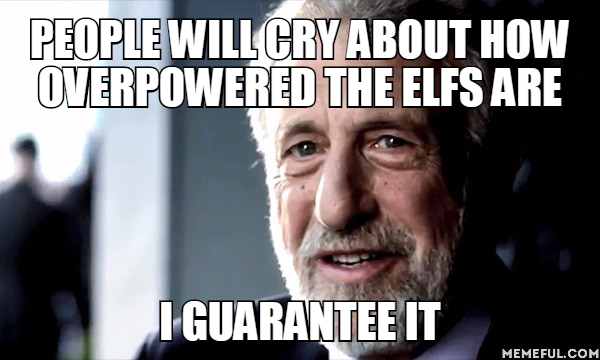 The thing is, people still think elves are stronger because they are easier to play. Easier to play at full potential doesn't mean stronger. Classes from other factions have a steeper learning curve. If you don't play a class the way it is supposed to be played of course you will think they are weak. Game is full of people interrupting necromancer nightmares, shamans who only think about 1v1, death knights and barbarians who only think about amping attack and end up being weaker versions of rogues, rogues that don't use gouge because it doesn't do damage, suicide mages that don't known jack about hit and run and so on. That being said, I would hate to see developers changing some classes just for the sake of making then more noob-friendly. let me guess, change war reward become Chirmson Corundum reward, dont BUFF like damage, resil and etc. +1 cc reward is great idea! Check the results of Wednesday battles on the first page! Oi R0land the bonus seemed to have faded away like 4 hours too early, was this intentional? Then stop complaining and defend. Or attack the elfs. Not that hard, right? I used my mc char on Friday, we did attack but there was so little people joining us that it was obvious what we were gonna fail. We gathered at gridaur cave, came through near vestmar and attacked the right entrance. It was a good plan seeing that most of the elfs were standing on the left side of the town prepping to attack, too bad we didn't have the man power to destroy the flag. Without people to execute it the plan was useless. Try again on Wednesday. R0ly, instead of lettin' us know when there will be another battles you could tell us your opinion on these..
if I don't reply to every message it doesn't mean I don't read and react. Everything is being delivered to our development team. Battle results from 1st of May are published. Next time we'll meet tomorrow. Be patient, Jorge. They'll announce everything when it's ready. Alright, sorry for that, now I know! Hint: The winners have long ears and blue eyes. Check the results of Wednesday battles on the first page. Friday will be the same on schedule. Woooot! 3-0 for the sentinels! Cheeers! Mcs gonna cry because they can't win again... Then attack!